Oh Sadie, I sure do miss you! I found this photo a few days ago and it made me smile so wide. I think it's from 2013 and after a bath because all the towels (aka blankets) were out. You never met a blankie or pillow that wasn't yours. And you always had to fix momma's decorating. 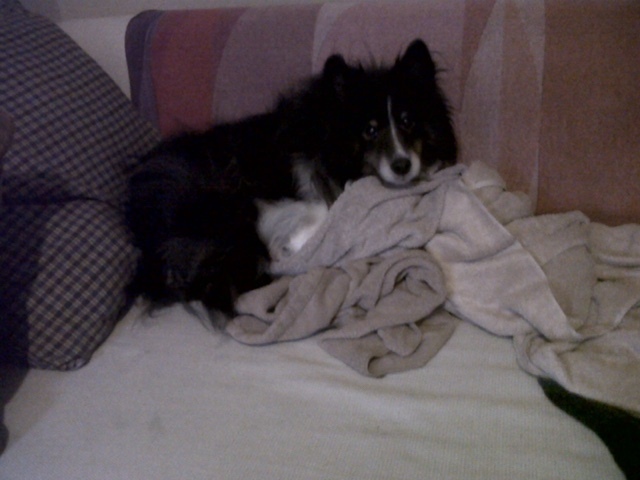 I would fluff the pillows or fold the blankets only to come back later to find you rearranging my work. You were so cute the way you would paw at them and then tuck your cute little nose under them to get them in just the right order. And then walk in circles to find just the right position before laying down. I don't think there was a single time in our 14 years together that I didn't pause to watch you do this and just grin ear to ear. You were so funny and had such big opinions, and I LOVED it! I love you, baby bunny!